Chem. Commun., 2015, 51, 7069-7071. A novel tellurium-containing polymer micelle system is reported to be responsive to 100 μM H2O2 and can undergo a series of morphological changes. 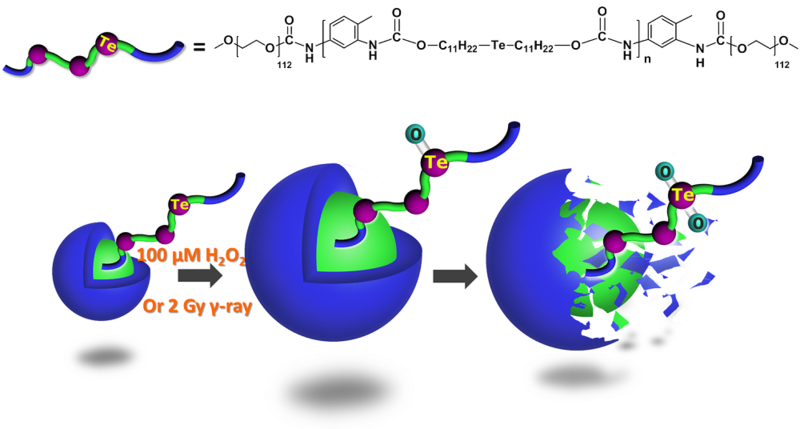 The polymer micelles also respond to 2 Gy gamma radiation, which is the exact dosage a patient receives one day for clinical radiation therapy.